Koshi no Kanbai is made in the heart of Niigata, the most renowned sake-producing region in all of Japan. The pristinely cold, snowy winters contribute to making this the idea environment for craft sake brewing, and the history and culture of the region define its character and terroir. The Niigata region is lush with natural surroundings that combine to create an outstanding environment for growing rice, as well as the ultimate sake-brewing terroir for which the region is famous. Tall mountains that bless the land with copious amounts of pure and soft water, vast stretches of rice fields, cold and clean air to facilitate the brewing of Niigata sake which is then enjoyed by consumers across the region, enjoyed with fresh local seafood for which the region is also famous. All of these factors and more have combined to make Niigata unique and special in many ways, not the least of which is its uniquely identifiable sake culture. For centuries, the town has been famous for large, fragrant plums that appear in the early summer. In one orchard there was a tree that blossomed at the cusp of spring, braving the cold and snow that still lay upon the ground. This lone blossom that stood out so vividly became the origin for the name of our sake, Koshi no Kanbai. (*)During the post-war era of robust economic growth, when sake consumption grew prodigiously and richer, sweeter sake was popular, we staunchly maintained our efforts to continue to brew sake that we ourselves thought was good. Even in an era when there were many styles of sake available, we insisted on sticking with our own methods, and our resulting light and dry sake was popular. This ultimately led to our sterling reputation across all of Japan. Sai is made from Gohyakumangoku and Yamadanishiki rice with a polishing ratio of 55%. 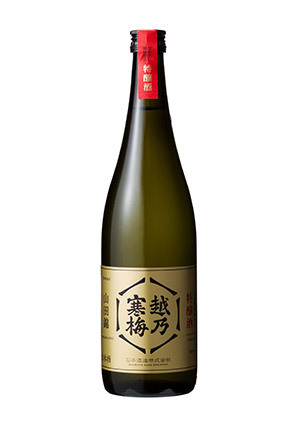 The refined, crisp taste of this ginjo sake, another heir to the Koshi no Kanbai heritage, comes from the Ishimoto Sake Brewery’s mastery of using special sake-brewing rice and low-temperature aging techniques. To make Sai as palatable as possible for first-time sake drinkers, we used a junmai blend that accentuates the umami of the rice but made sure that the brew would still deliver a light, understated taste. Although delicious at any temperature, we recommend drinking it at around 10°C. * Values listed are management target values. 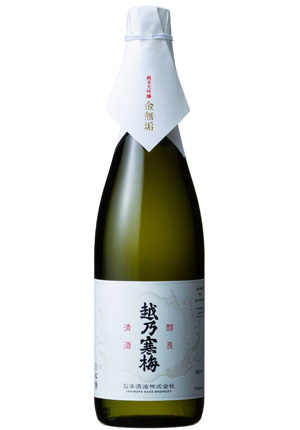 This daiginjo sake is made from superior-grade Yamadanishiki rice with a rice polishing ratio of 30%, leveraging the techniques and sensitivities of our brewers. It is aged at a temperature of 1°C for roughly two years to fully draw out the umami and depth. 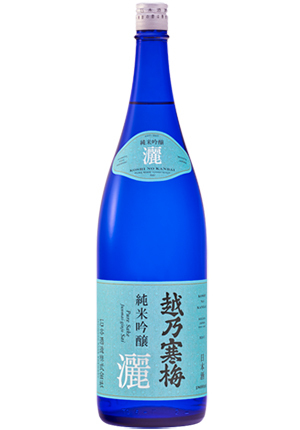 This sake is renowned for the dignified fragrance that is unique to ginjo sake; subtle, delicious flavor; and the way its pleasing taste lingers enjoyably in the mouth after drinking. We recommend drinking it at room temperature or warmed. 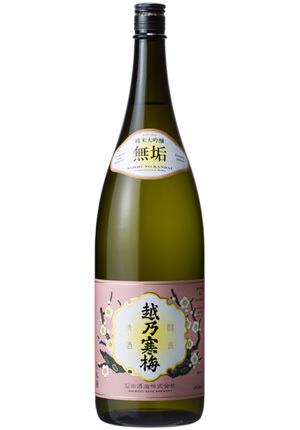 This sake features the delicate fragrance of ginjo sake with a pleasantly light, smooth texture. The aftertaste has an expansive sense of umami with fullness and a sophisticated flavor. 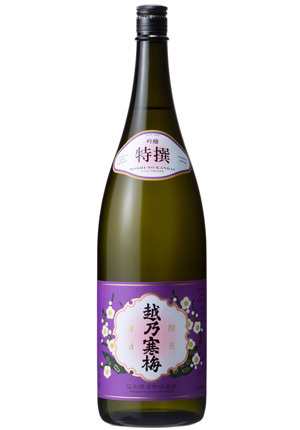 This ginjo sake can be enjoyed at room temperature or warmed. We at Ishimoto Sake Brewery co.,Ltd are proud of this sake that maintains a consistent flavor, cup after cup. 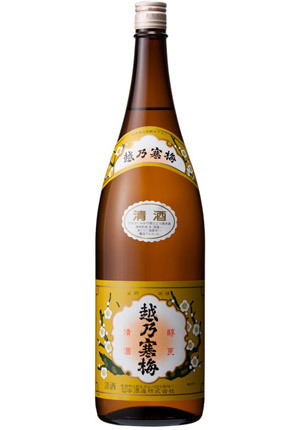 This junmai daiginjo sake is made from Yamadanishiki rice with a polishing ratio of 35% and is known for its faint ginjo fragrance and profound, delicate flavor. This sake is the best way to experience the unique qualities of sake made with Yamadanishiki, which grows more flavorful over long brewing. To fully enjoy Kinmuku’s fragrance and taste we recommend that it be served warmed. 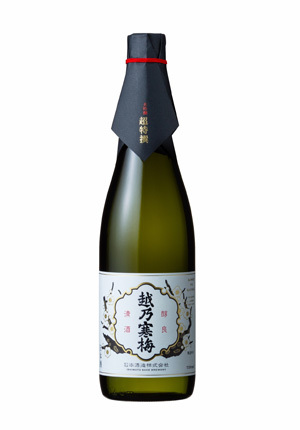 This junmai daiginjo sake from Koshi no Kanbai is made from Yamadanishiki rice with a polishing ratio of 48% and fully showcases the true umami of the rice. It is known for its expansive, profound flavor with little acidity, and offers an appealing smoothness and fragrance. 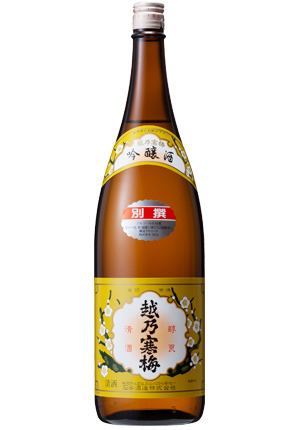 This sake is known for its pleasant, refreshing taste and is made from specialty sake-brewing rice and a yeast variety that produces a light-bodied, fragrant sake. When served at room temperature or chilled it has a refreshing taste that is the hallmark of the tanrei karakuchi style, and features a more expansive flavor when warmed. It's a perfect ginjo sake with a luxurious feeling that's ideal for when something good happens and you want to have a small celebration. Our aim was to create a sake that is ideal for drinking at dinner—it matches well with cuisine, is always enjoyable, and doesn't make you feel poorly the next day. Even though White Label is an everyday(futsu)sake, it's based on the techniques we use to make ginjo. We polish the rice and slowly, carefully brew White Label at a low temperature over a long period of time, which results in the most accessible and satisfying sake possible. It has a sharp, powerful finish that its longtime fans love. 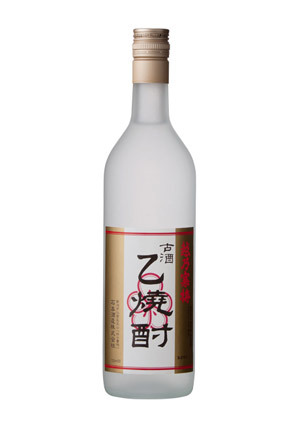 Our original aim in developing this product was to create a shochu that is distilled for 10 years. For that reason, we established the facilities and techniques for this shochu in 2003 in order to deliver the first shipment of Junen Koshu Otsu shochu in 2013. 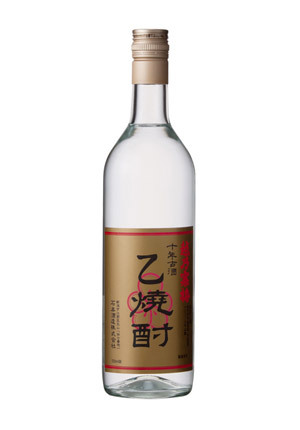 We at Ishimoto Sake Brewery co.,Ltd take great pride in this shochu, and hope you will enjoy the smooth texture of this mature drink with an alcohol-by-volume ratio of 43%. * We store only a small amount of this shochu for a long period of time, so quantities are extremely limited. Seigo Ishimoto, our second-generation president of Ishimoto Sake　Brewery co.,Ltd, wanted to create distilled liquor. 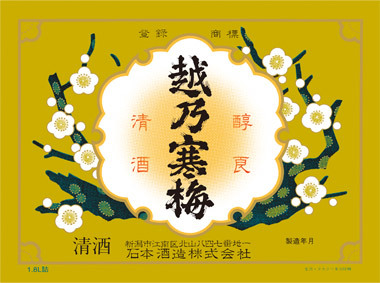 Based on his desire, this Otsu shochu was first released in 1990. Mainly Daiginjo lees are re-fermented and then squeezed to create a fermentation liquid that is then vacuum distilled, frozen, and filtered. It is slowly aged for roughly five years to create an authentic shochu with a sophisticated, serene fragrance. It has an alcohol-by-volume ratio of 40% and features the fragrance and umami (savory flavor) of rice. It’s perfect for mixing with hot water or enjoying on the rocks, with a rich fragrance and taste and sense of depth. The ingredients include our Otsu shochu, so we cannot label this product as a daiginjo according to the Special Designation Sake definitions. However, we use Yamadanishiki rice with a rice polishing ratio of 30% to make this special sake that showcases the techniques and sensitivities of Ishimoto Sake Brewery co.,Ltd. Compared to our Chotokusen, this sake is unique for its strongly concentrated flavor that can rightly be described as having a "firmness." It has particularly rich, sensitive qualities even compared to the other Koshi no Kanbai products. We spent 10 years doing research and two years doing market research to create an umeshu (Japanese green plum liqueur) that features a rich flavor, the refreshing fragrance of Japanese ume, and a perfectly balanced sweetness. 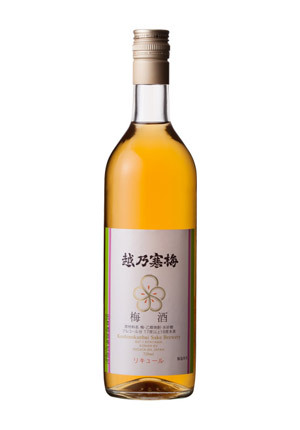 Our umeshu was first released in 2008. To create a rich flavor this beverage is made from Otsu shochu; Nanko ume from Kishu, which are ideal for aging and have an expansive flavor; Shirokaga ume from Gunma, which are renowned for their lovely, clear fragrance; Togoro ume from our home region of Kameda; and rock sugar made from sugar beets grown in Hokkaido. Copyright © 2015 Ishimoto Sake Brewery co.,Ltd. All Rights Reserved.